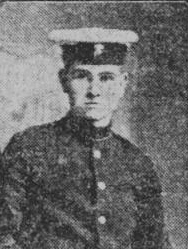 Barrow Hill man, George Exford, had been a full time regular with the Royal Marine Light Infantry for almost 12 years and had only 5 months left to serve when war broke out in August 1914. 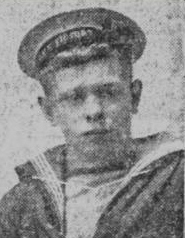 George died aboard HMS Queen Mary at the Battle of Jutland. The Battle of Jutland (31 May – 1 June 1916) was the largest naval battle of the First World War. It was the only time that the British and German fleets of ‘dreadnought’ battleships actually came to blows. 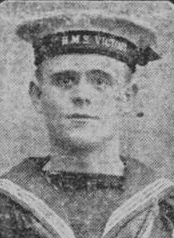 Jutland was a confused and bloody action involving 250 ships and around 100,000 men. Initial encounters between Beatty’s force and the German High Seas Fleet resulted in the loss of several ships. 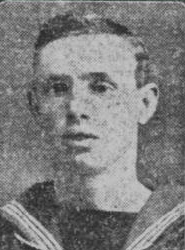 The Germans damaged Beatty’s flagship, HMS Lion, and sank HMS Indefatigable and HMS Queen Mary, both of which blew up when German shells hit their ammunition magazines. Although it failed to achieve the decisive victory each side hoped for, the Battle of Jutland confirmed British naval dominance and secured its control of shipping lanes, allowing Britain to implement the blockade that would contribute to Germany’s eventual defeat in 1918. By Nick Hewitt, Imperial War Museum.